Have Fun, Be Fit, Feel Fabulous! 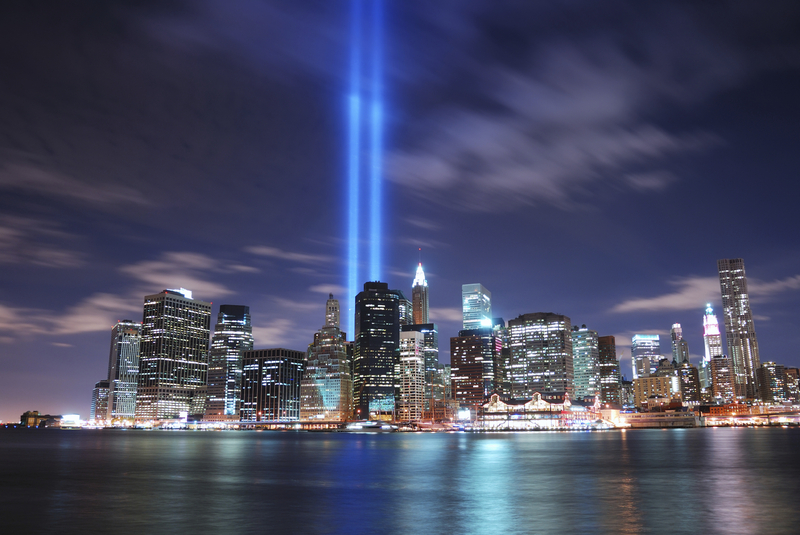 As our nation commemorates the 11th anniversary of 9/11, I hope you will forgive this break from my ordinary health and fitness posts as I share my thoughts surrounding the day that changed our lives forever. Some of you may remember my account from last year’s anniversary. Considering the significance of this day in our history, I thought it was worth repeating. On that bright, crisp day in 2001, I was a general assignment reporter at News 12 Connecticut. Shortly after 8:46 am, as we prepared for the daily meeting, our morning show executive producer ran out of her office to tell us a plane had crashed into the World Trade Center. Soon, all the televisions behind the assignment desk were breaking in with news of what we thought was a horrible accident. We then watched in horror as the second plane hit the South Tower. It was the first and only time I can remember a newsroom being brought to complete silence. What followed was a blur. Our assistant news director shifted into auto-pilot and sent us out. Reporters teamed up with videographers and sped off in live trucks. There were no lessons from my journalism classes or past experiences as a reporter that could have helped me prepare for that unfathomable day. Before leaving the newsroom, I left a message on my parents’ answering machine telling them how much I loved them. I’m pretty sure I said a few prayers, too. I started the day reporting on local reaction from people glued to the TVs at a local diner in Norwalk. Eventually, I was sent to the Fairfield train station. A medical team was set up for triage to help those returning from the city. As the trains began pulling in late in the day, men and women emerged from the cars covered in ashes. Those were the people I knew I had to approach for live interviews. Some approached me. Most were in shock. In between live shots, I would sit in the news car and cry. When I had cell service, I would check for voice messages with any news about my many friends and loved ones who lived or worked in the city. I couldn’t tell you how many live shots I actually did that day or how many people I interviewed. I do remember the faces of the medical team anxiously waiting to treat injured survivors; the tearful embrace between an ash-covered man and the woman waiting for him on the platform; and all the cars that remained in the parking lot as midnight approached. I wondered how many people would never return to claim them. In the days that followed, I learned a former colleague and friend from News 12 Long Island, Glen Pettit, was killed. He was a talented videographer and NYPD officer. I learned about other people’s loved ones who were killed. I held back tears while interviewing people who still hoped someone they loved would come home. I held back tears while speaking with members of the Stamford fire department who wanted to do more to help their firefighter family in the Manhattan. In the fleeting moments when I was alone, I let the tears flow freely. I also remember how sales of American flags skyrocketed and how people wanted to help each other in whatever way possible. We were wounded, but the American spirit was not broken. Eleven years later, as we remember those who lost their lives on that tragic day, let us honor each and every one of them by doing good for others. After spending more than 10 years in the communications industry, this lifetime fitness lover and newly certified fitness professional wants to share my passion for health and well-being with others. Posted on September 11, 2012, in Uncategorized and tagged 9/11 Day Movement, 911day.org, Laura DeAngelis, News 12 Connecticut, Remembering 9/11, World Trade Center. Bookmark the permalink. 2 Comments. Enter your email address to follow LauraLovesFitness and receive notifications of new posts by email.